If you are sitting on a manuscript and wondering how to go about publishing your first book in Kenya, you might be surprised to learn that it is actually easier than you ever imagined. Things have changed in the recent past. While before you’d have to go from publisher to publisher and have to deal with negative feedback time and again, it is now possible to self publish your own book, control the advertising yourself and keep all the profits to yourself. This is a great residue income for you receive Royalties month after month for as long as you live or your book remains relevant and popular. There are platforms that allow you to publish Ebooks and have them available to millions of customers in less than two days. If you’d like to have your books in print, you do not have to print hundreds or thousands of books and have them in a store somewhere gathering dust, all you need to do is join a platform that prints your book only if and when it is ordered. This lets you sell your books without having to deal with inventory. Amazon.com is the biggest marketplace around, this makes it’s Kindle Platform the ideal place for writers to self publish their work. You just need to have your book in MS. Word, well formatted and ready to be published. Once you are happy with your product, head over to Kindle and sign up to start publishing your first book. Before you start though, you’ll need a US Bank account where you’ll be receiving your monthly book Royalties. I like to use Payoneer.com. This is a Global Payments Services company that gives you virtual US and UK Bank accounts making it easy for you to receive payments from different companies in these countries. You can sign up for a payoneer account at Payoneer.com here. Fill in your Book Details: The Title, sub-title, author, publisher and the description of your book go in this section. Verify your Publishing rights: Indicate whether the book is yours or whether it is a Public Domains Work. 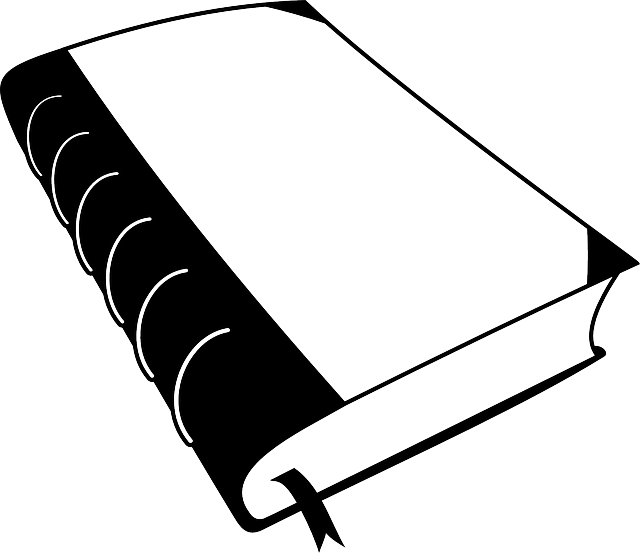 For public domains work, you need to differentiate the book so as to make it unique. We’ll look at how you go about selling Public Domain Books in another post. Target of your book: This is where you give information that gives a clear indication of who your book targets, age-wise or otherwise. Categories and keywords are also selected in this section. Select the book release options: If you do not wish to release your book as yet, you can have it available for pre-preorder. Upload your book cover: If you already have a book cover, this is where you upload it. Kindle also allows you to create a book cover so there’s no need to worry if you do not have one. Upload your book: This is the point where you upload your book. Though it is possible to convert PDF to Kindle, a Word document converts better. Click ‘Save and Continue’ to proceed to the pricing section. When you’ve entered all the details, select publish. It takes about 48 hours to have your book reviewed and live on the Kindle store. Congratulations, you just learnt how to publish a book in Kenya. I have dealt with Kindle. Publishing a book there is not as easier as you are indicating. Really? I would like to hear about your experience. In my experience, it is as easy as that and I have published several books with the platform. I was looking forward to seeing the procedure in Kenya and not kindle when I came here. Thanks for the info. But can you help a sister on Kenyan publishing please. Thank you. Thank you Irene for stopping by. We shall be discussing that in a future post. I'll provide a link here when it is ready. Have a lovely day. Amazon pays via cheque. I don't think payoneer works here. please don't misinform those of us looking for actionable information. You don't think or you know? I've been paid from Amazon's Kindle every month for the last two years via my payoneer card. Amazon affiliate program on the other hand pays via Cheque to non-usa residents, but I was able to connect my account to my payoneer account 2 months ago and it works. Like you said, let's not misinform those looking for actionable information. I was wondering about taxes on amazon. Hey Fred. You are not charged anything to publish your works. What happens is that Amazon retains part of the royalties depending on your book's pricing. You get 30% of the earnings if you price your book for less than $2.99 and 70% if your pricing is $2.99 and more. In line with Fred's question and your answer, how do I determine the price of my book? Does pricing it below USD 2.99 and getting 30% make more sense than 70% with a price of over USD 2.99? I've set the wheels in motion with an application for a Payoneer Account myself. Thank you for the information. It depends on your book, I guess. In my experience the cheaper you price your book the more sales you make. The more priced it is, the less the sales, but the higher the commission. You just have to find a balance. Does kindle accept the kenyan tax identification number. And how long does the process take? You do not need to apply for the US one. Just fill the tax forms provided and mark non-Us citizen. Sign the forms with your name and submit. I thinks it took about a day for me. I know what you mean. Payoneer is the way to go. Does Kenya issue an ISBN or not? Register with Payoneer to get a Virtual US Bank Account. That's what I use. If you use the link in the post above to register, you get 25 dollars free. Modern Mom, this is very valuable information. Thanks very much indeed for sharing. Hey anonymous. Sorry for the delay… I'll tell you when it's ready. How does the money move from the virtual account to your actual bank account in Kenya? I want to publish a sports book. Probably a martial art book. Something I have not heard any Kenyan or African do. Are there restrictions for that, or is it possible also here? I applied for pioneer two years ago. i am yet to receive my card. How then can i believe kindle can help me publish in 2 days. Something in Kenya pliz. I am an upcoming author and i will have my first book ready in March. Can i publish my book here in Kenya and still have it on Amazon? Two, are there any charges upfront that i need to be aware of? Hello guyz i am a new writer and i always do plays,, kindly help me find a suitable publisher in kenya?? ?